We have had our first aquarium for a few weeks now. 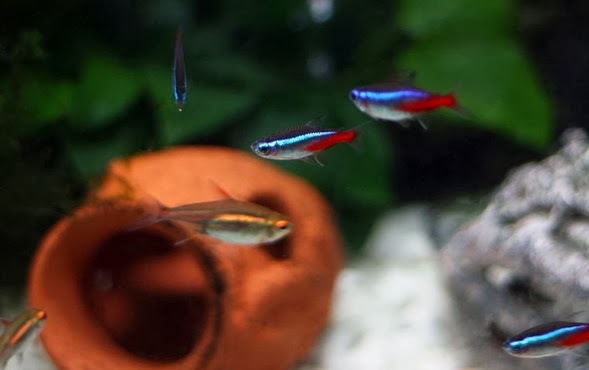 We started off with 5 glowlight tetras, then waited a week, done a 10% water change as we were told to do. 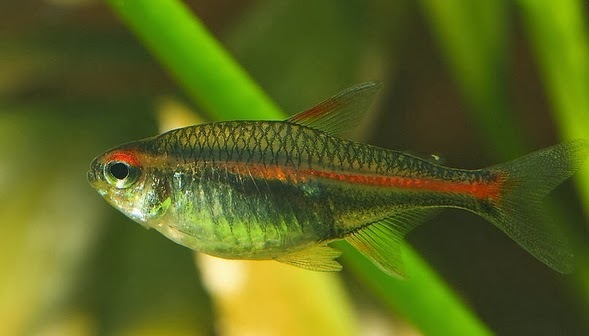 After doing research and going by advise we received from the attendant in the fish shop, we added 6 Neon Tetras and 2 Leopard catfish. All seemed well at first, but now the glowlights are all sitting at the bottom back corner of the tank while the Neons have taken over the front of the tank. The Neons appear to be herding the Glowlights back into the corner if they do move? Firstly, fish will be aggressive toward other fish who are ill. Your glowlights have probably been together long enough to form a shoal, so it needn't be the case that all of them are ill - if their leader is, they'll all follow when he or she is driven into the corner. Check them carefully for signs of disease and try adding a mild anti-disease agent. If your glowlights are ill, this will give their immune systems a better chance to fight back. It will also make them less vulnerable to illnesses trying to take advantage of their stress at being bullied. Unfortunately, it is possible that you just have a bad tempered individual among your neons. When this happens it is usually just one, though the others may follow that fish's lead. It may have taken this fish a while to assert itself because your aquarium was a strange place at first. In this case, all you can really do is to watch closely, identify the culprit, and take it back to the shop. In the meantime, try rearranging the rocks, ornaments and plants in your aquarium. This will make it seem like a strange place and will make the currently dominant fish less confident. Try to create a variety of hiding places so your glowlights can get around more easily. Take care to ensure that they get enough food, as the last thing you need are extra problems caused by starvation.